Hopefully my 121 won't drift all over the place this time. One question though. 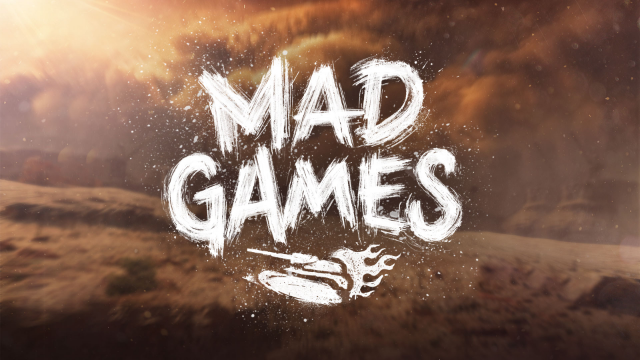 During the last mad games, it was possible to grind out blue xp for tanks without any penalty since stats were unaffected; ground through quite a bit of stock modules that way. Will it be the same this time as well or will it be removed? Will we be able to get the gravedigger again? I sure hope so. I have a number of brand new tanks needing some modules ground. If so, I'll be playing nothing but mad games in my non-elited tanks. No, we'll fight on regular maps where supremacy mode is available. Yes, you'll receive battle xp just like last time. No, there will be no MG event. Just battle mode to have fun and relax. Yeah... no incentive to use Mad Games... nothing to win or to be had. Unique settings on vehicles .... yeah ok whatever. Only benefit is win rates are not affected and so called “Military Honor” not applied... only benefit of using it. Still nothing to gain. I guess not enough live players left around anymore. No one has to wonder why. The AMX CDC was amazing with the invisible thing, now in my opinion when played in mad games its horrible I like that you can heal people but more damage, really? Its just a regular match but everyone has better abilities except lights which have the more damage I think. Personally I think Irradiator is extremely bad, unless you're a tank with a 152/122+. Would be nice if we could have the option to use the power ups in training rooms, would make it more fun in training rooms instead of all those training rooms that..yea, still would be more fun because at times if we mess around in a mad games match we get yelled at etc. you really shouldnt take mad games seriously so thats why I think it would be good for training rooms too.